I wrote this version of the book Rumpelstiltskin and the Prince to show that there are two sides to every coin. In each version of the book Rumplestiltskin ever written, he is portrayed as the greedy, evil imp who schemes a helpless woman to obtain possession of her first-born child. However, from the moment I first read Rumplestiltskin in elementary school, I always thought of Rumplestiltskin as the hero in the Queens world. 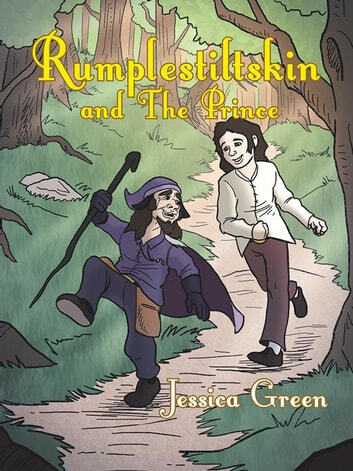 Rumplestilskin and The Prince reveals a side of the strange little man that allows us to celebrate this unique fairy-tale with a new perspective as Rumplestilskin and the Prince eventually unite on their own terms.